BELFAST International Airport enjoyed record-breaking passenger numbers in 2017 and spent close to £9 million on capital expenditure programmes, its managing director has confirmed. And it has pledged to "up its game" this year to get the government to "see sense" and rid Northern Ireland of air passenger duty, which it describes as "an appalling tax on short-haul flights". 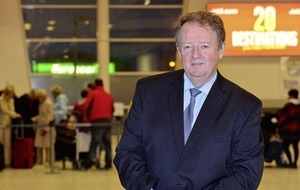 Graham Keddie revealed that the 5.8 million people flew in or out of the Aldergrove facility last year, adding that: "In a business where nothing stands still, we're confident of smashing that old record and achieving more than 6 million passengers in the year ahead as our airlines serve new destinations with hundreds of thousands of additional seats available." 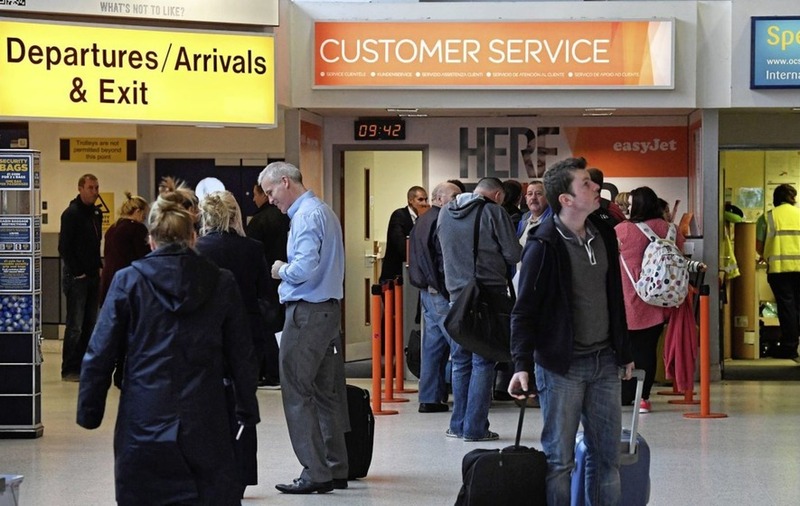 He added: "More and more passengers from across the border, aided by a favourable pound-euro exchange rate, are using Belfast International, and more holiday-makers from Britain are opting to come here where there is no exchange rate disadvantage. "The growth we are enjoying has often been measured in monthly double-digit figures. And the more we grow, the more investment we attract and the more jobs we create on the site." Mr Keddie said BIA has generated 1,200-plus jobs in just two years in every facet of the airport operation - from apron to catering, security, core airport activities, baggage handling and retail. "The economic activity we generate underpins the Northern Ireland economy, and that position will strengthen as we continue to expand. This year, as many as 250 new jobs could be created at the airport, which means a further £4 million in wages," he said. "In December we secured a rates rebate of £1.8 million as a result of a successful legal claim for over-valuation against Land and Property Services. We plan to spend double that sum on increased capital expenditure programmes, bringing the total committed for the year to £8.8 million, which is to the obvious benefit of local contractors and their suppliers. "But against this backdrop is the ‘drag' of air passenger duty. We will up our game on this front in 2018 to get the government to see sense and rid Northern Ireland of this appalling tax on short-haul flights. "Right now, we are competing with the Republic of Ireland where the taxis set at zero. We are seeking a level playing pitch. We're doing well because of the favourable exchange rate, but it could be so much better if we didn't have to deal with the disadvantage of an unfair tax. "Our politicians are fully engaged alongside us and we intend to make an irrefutable case for the removal of APD during the government consultation which gets under way shortly. "In fact, so fundamental is this issue to our business, and the jobs of thousands, that I would request robust submissions to this important consultation from our local council as well as neighbouring councils." And he insisted: "This is a fight we can and must win. The government must be made to realise that we all sing from the same hymn sheet here in our outright opposition to this barrier to growth and jobs."